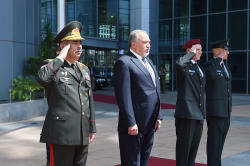 Azerbaijan’s Defense Minister, Colonel General Zakir Hasanov and Israel's Defense Minister Avigdor Lieberman met in Tel Aviv, Azerbaijan's Defense Ministry reported on September 11. The official welcoming ceremony of the Azerbaijani delegation was held at the Israeli Defense Ministry in accordance with the protocol. The defense Ministers passed along the honor guard. After national anthems of both countries were played, ministers held a one-on-one meeting. During the meeting of delegations in an expanded format, the sides discussed issues of regional security, cooperation in the military, military-technical sphere and other areas of mutual interest. 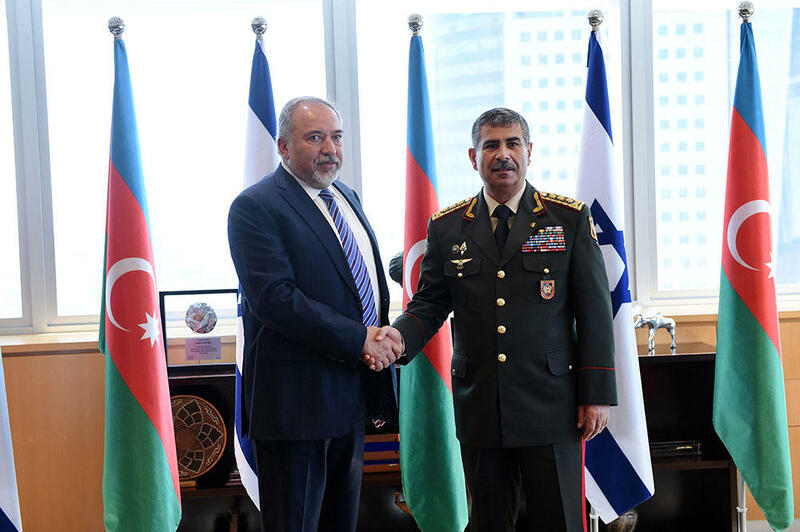 Currently, Azerbaijan and Israel have broad interaction in military and military-technical spheres. The Azerbaijani army possesses modern weapons and technical equipment for maintaining a high level of combat capability, and part of these weapons are of Israeli production. Israel has always stated that it supports the territorial integrity and sovereignty of Azerbaijan and wishes an early resolution of the Armenian-Azerbaijani Nagorno-Karabakh conflict by peaceful means.